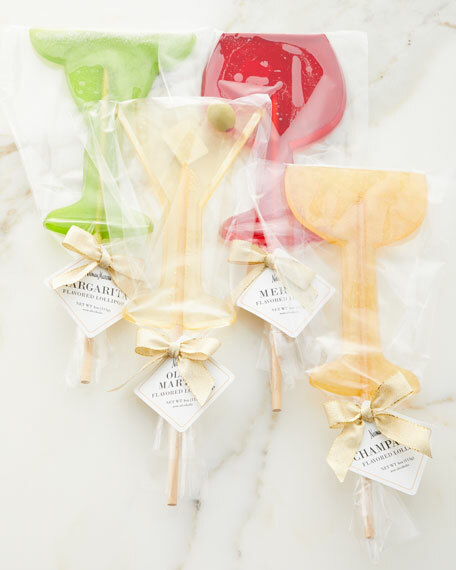 Set of four assorted cocktail lollipops. 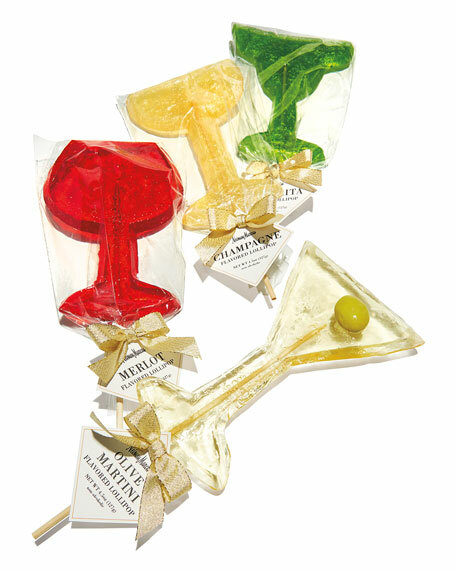 Flavors includes: Champagne, Merlot, Olive Martini, and Margarita. For in-store inquiries, use sku #2752053.